This October I couldn't wait to take myself off for some pumpkin picking fun and after many recommendations I decided that Cammas Hall in Essex was the best location for us to visit. Having lived in Essex for over 20 years I was surprised to have never visited this farm before and I was really looking forward to seeing what was on offer. 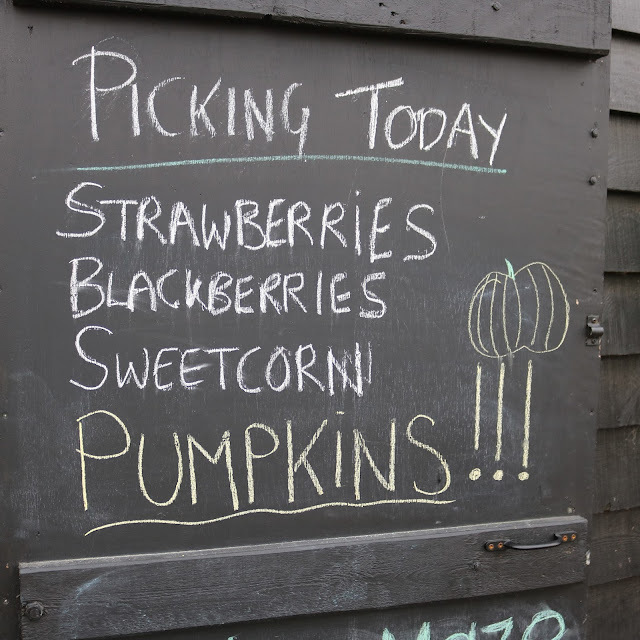 Along with pumpkins, Cammas Hall also have various other fruit and veg available to pick depending on the season. This year was the first time I had ever been fruit picking or to a 'pick your own' (PYO) farm and I really enjoyed the experience. I found it so relaxing wondering around the fields and picking my own fruit to take home with me. It's the perfect lazy Sunday activity! 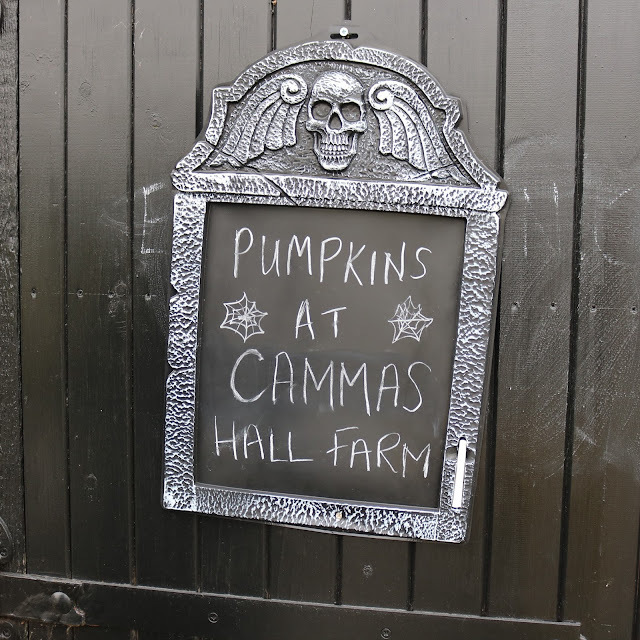 On arrival at Cammas Hall you cannot miss their pumpkin patch where you will find a wide variety of pumpkins which have already been picked for you and guarded by some spooky looking scarecrows! I don't know what it is but there's just something so mesmerising about lots of bright orange pumpkins all lined up together. It was the perfect opportunity to get out my camera and get those Instagramable October shots! Along with the 'pick your own' farm there is also a huge cafe and farm shop area which is perfect for a little pit stop. They have a nice range of products available including ready picked fruit and vegetables, jams and sweet treats. On the day I visited the cafe was serving up a vegan friendly pumpkin curry on a jacket potato and it was one of the nicest lunches i've enjoyed in a long time. I would never think of making a pumpkin curry or having it with a jacket but it really worked. After our lunch we decided to explore the 'pick your own' fields and I was hoping to come across the patch where the pumpkins are growing. Having never been pumpkin picking before I was really curious to see what the pumpkins looked like in the ground and how they are grown. We firstly came across the sweetcorn field which was really interesting to explore. Again, i've never seen sweetcorn before it's been harvested so it was really good to see it in its natural state in the ground. After a little more walking we then came across the fruit fields where the strawberries and blackberries are growing. If you get the chance I would definitely recommend picking your own fruit as when we tried it we were really surprised by just how different the fruit tasted compared to what we're used to. It was so much sweeter and fresh tasting! Soon enough we came across the pumpkin fields and they were such an amazing sight. Sadly it doesn't seem that anywhere locally to me will actually allow you to physically pick your own pumpkins from the field. I am guessing that perhaps this is to do with the tools required to be able to cut them from their stalks? But nevertheless this doesn't stop you from being able to walk around the fields and look at the pumpkins in their different stages of growth which is a big part of the fun, especially for all the photographers out there. I really did have so much fun exploring the pumpkin patches and it was so nice to see all the different varieties and shapes and sizes. I spotted some tiny munchkin sized ones and even some giant green ones. Just being in with the pumpkins has really inspired me to try my hand at growing my own next year. I mean how hard can it be for a non gardener like me!? I can imagine it being such a satisfying experience to plant a seed and then watch your own pumpkins grow in time for Halloween. I need to do some more research into it but if anyone has any tips then please comment below and let me know. This was seriously up there as one of my favourite days out of 2016 and I really recommend you all put your wellies on and get out to your nearest 'pick your own' farm to take in the beauty that is the pumpkin patch. Also - don't forget your camera and get those Autumnal shots! I can't wait to head back to Cammas Hall later this month to get some more pumpkins to carve up for Halloween. 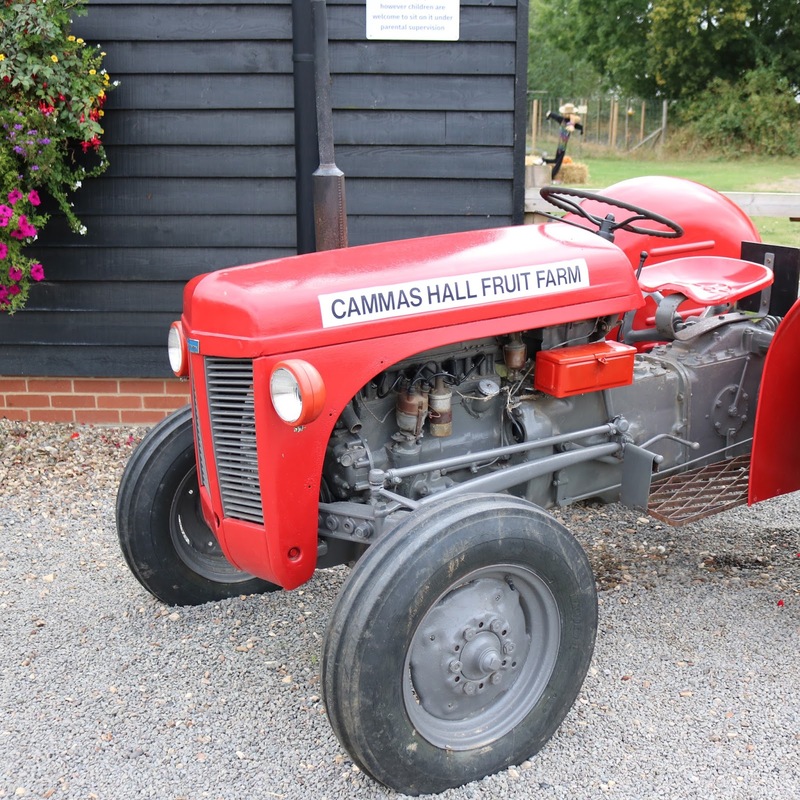 If you're near Essex I would definitely recommend paying a visit to Cammas Hall as it really is a beautiful location with all the amenities needed to make a great day out. And if you do manage to find a farm where you can actually pick your own pumpkin from the ground then please comment below and let us all know.